Guess! Hint: take note of the symbolic imagery, particularly the combatants, the knight, and the cross. 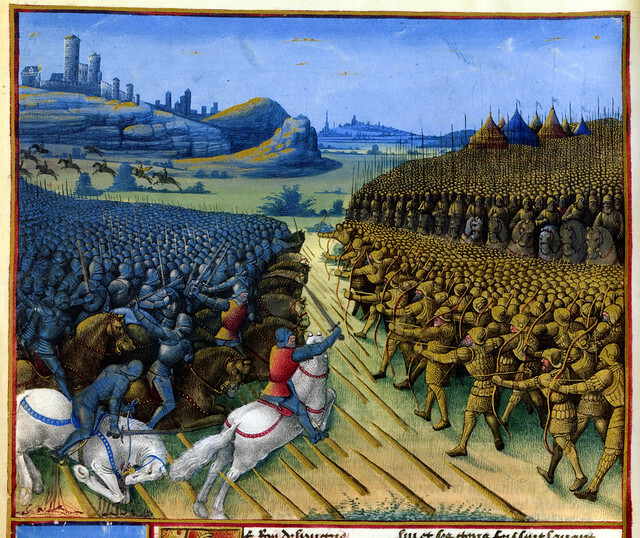 Possibly the battle of Tours? Correct (it was a bit obvious, I wanted to kickstart the thread), your turn and +rep! I can't make out any flags or markers on the ships in the painting, how about a hint? wild guess - Four Days Battle? Last edited by Sanguineus; July 14, 2011 at 11:24 AM. Under the patronage of the Noble Savage. Last edited by GhirYear; July 14, 2011 at 05:09 PM. I'll give you a hint - it's nothing to do with the Hundred Years War. Yes. The Stig is Jesus.